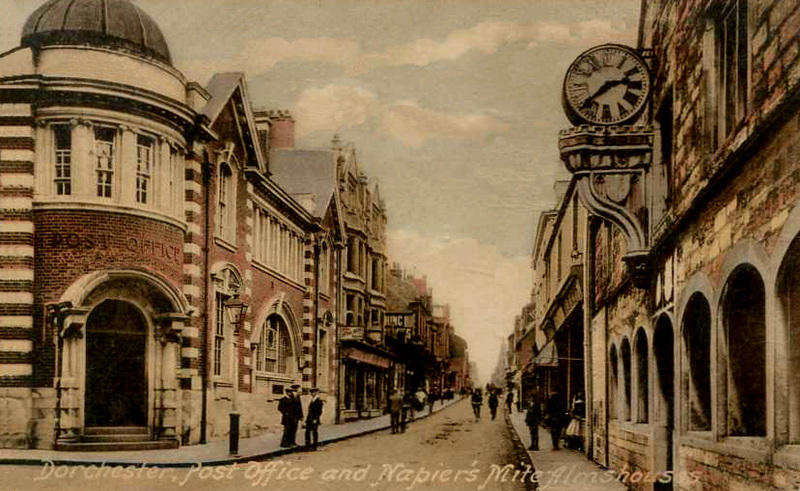 The post office in Dorchester, shown to the left in this postcard, still stands today. It is pictured here, at about 2:40 in the afternoon, across the way from Sir Robert Napier’s almshouse; Napier died in 1615, but not before doing some good. 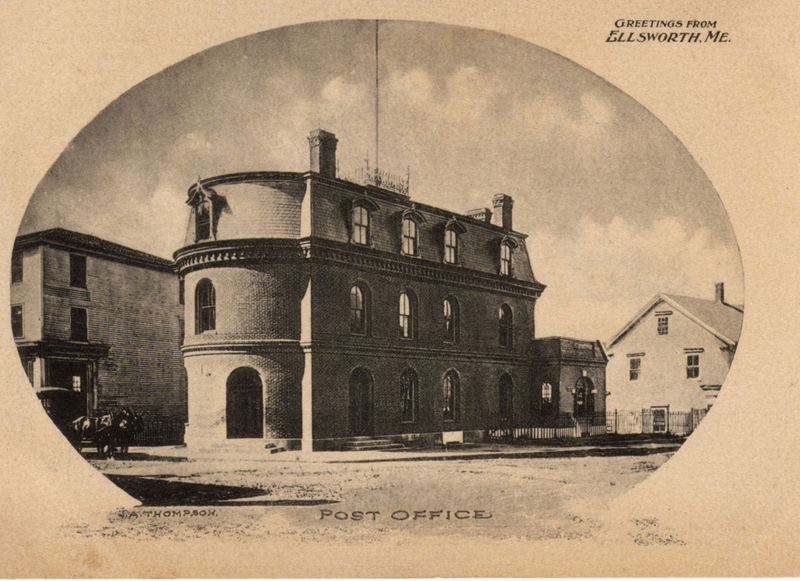 I do not know if this post office in Ellsworth, Maine, survived the Great Flood of 1923 or the Great Fire of 1933, but I am grateful that this view of it survived at all. What a delight. 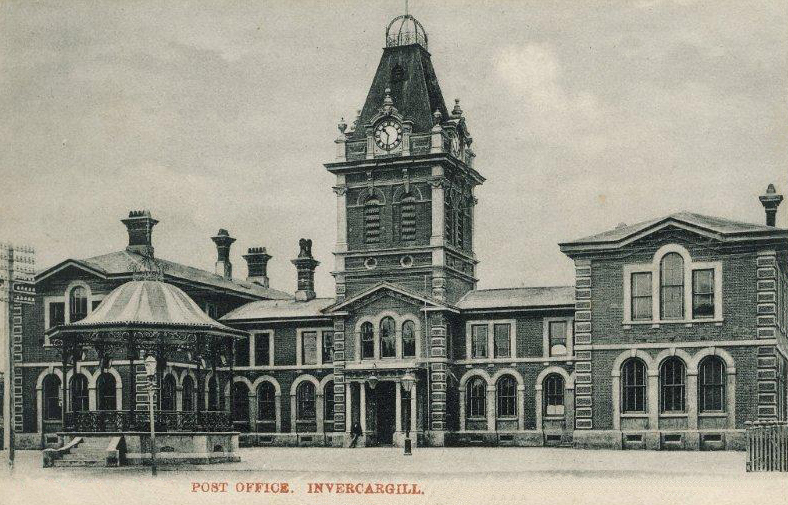 Not every post office must be a fortress. 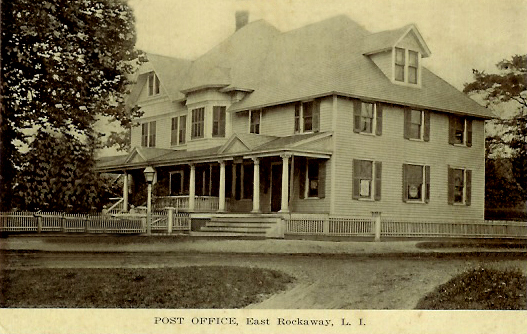 This one in East Rockaway, on the south shore of Long Island, New York, looks positively inviting. 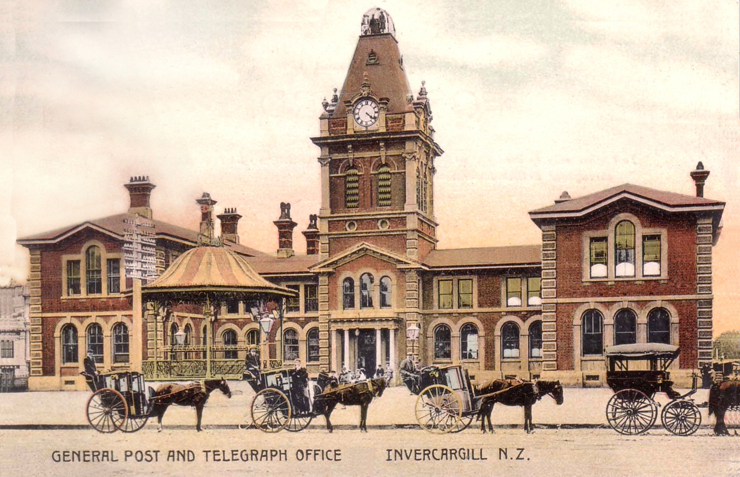 This beauty in Invercargill, New Zealand, shown circa 1908, was replaced by a box which was then turned into a hotel. But we have these images to console ourselves. And you have to love the gazebo out front; what a nice touch. 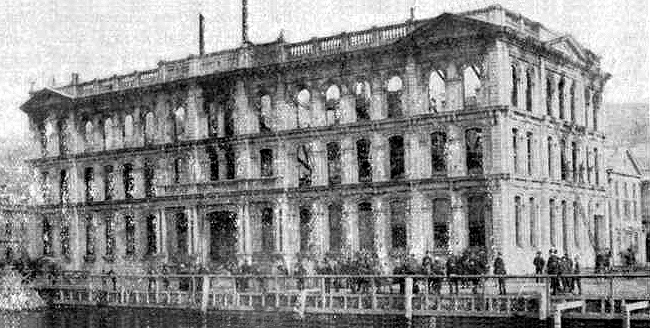 The General Post Office in Wellington, capital city of New Zealand, after a fire in 1887, in the course of which all its records were lost. Photo by F.J. Halse of Wadestown, N.Z., originally published in Louis E. Ward’s Early Wellington, Whitecombe & Tombs Ltd, 1928. 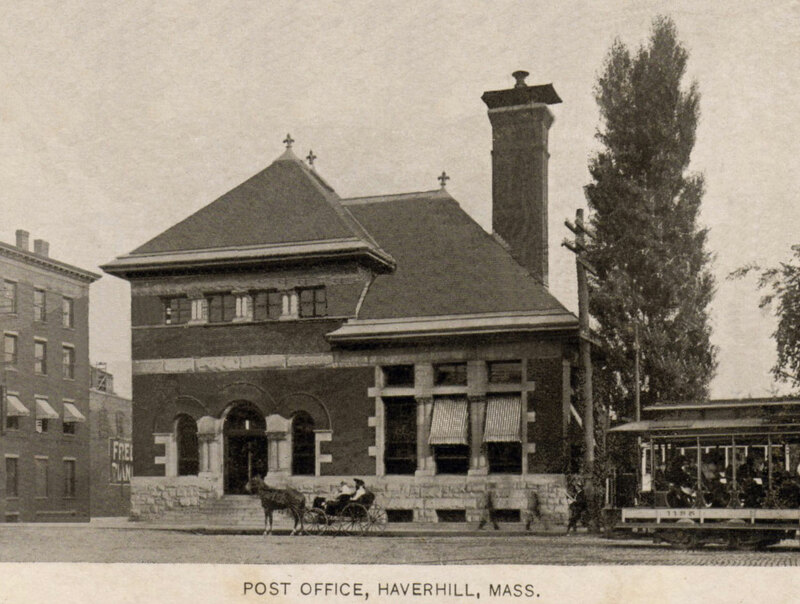 Haverhill, Massachusetts, on the Merrimack River, was a prosperous mill town with some lovely architecture. Notably, it also served as the inspiration for the Archie comics and was the home of Rob Zombie. And below, a later (?) 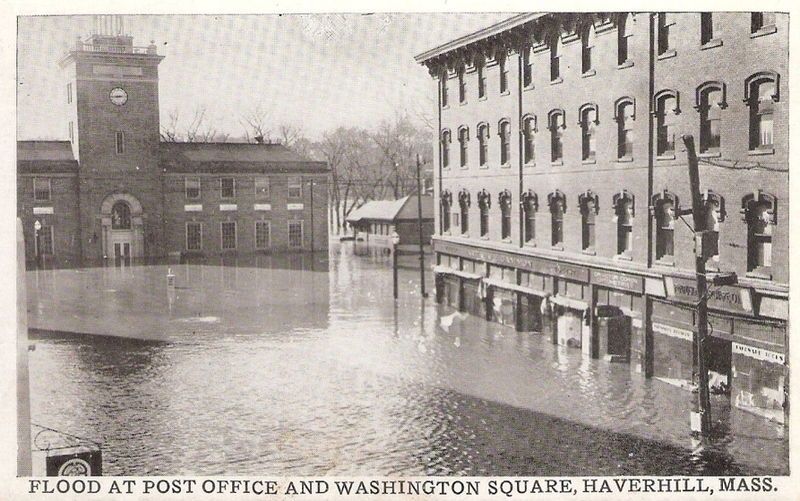 Haverhill post office united with the Merrimack River. 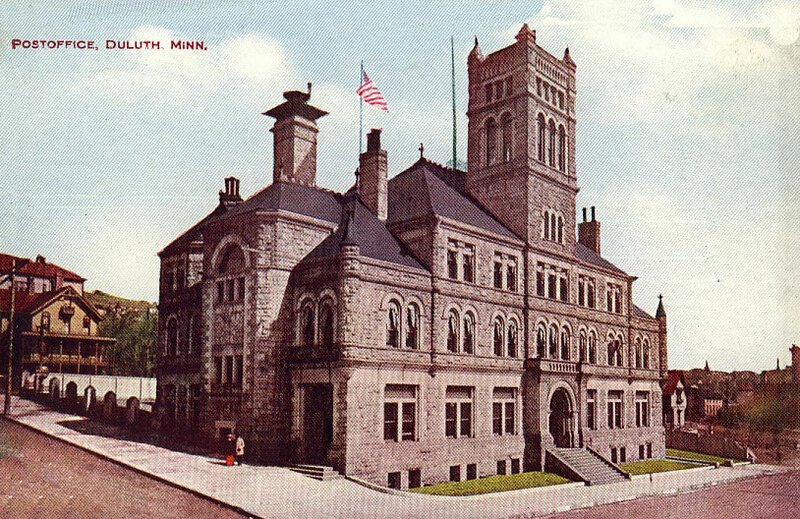 With its handsome square tower, the hillside Duluth, Minnesota, post office would not be out of place on a college campus.